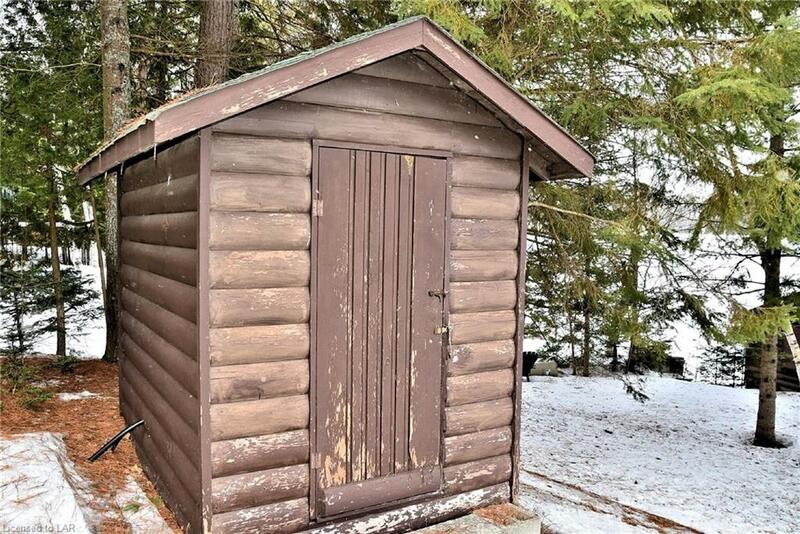 First time offered for sale. 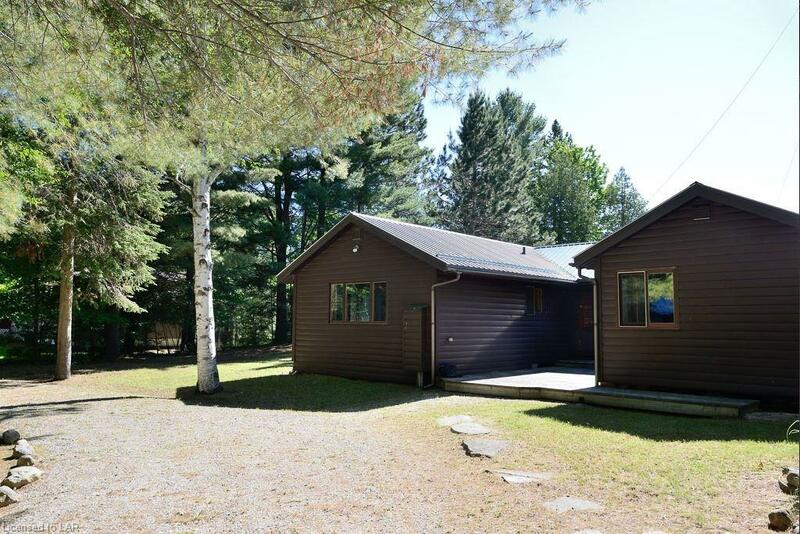 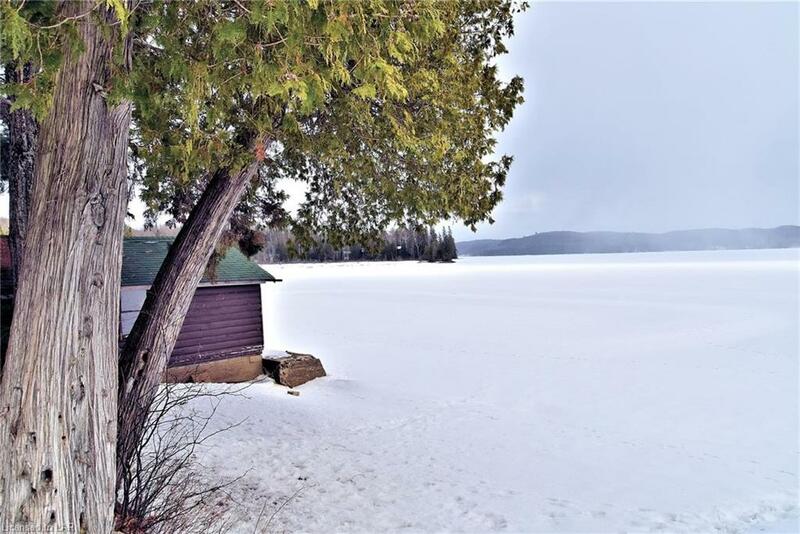 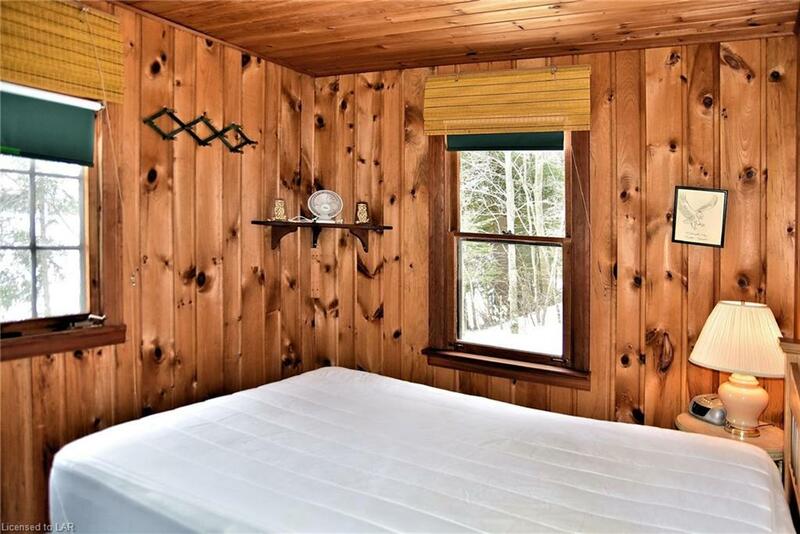 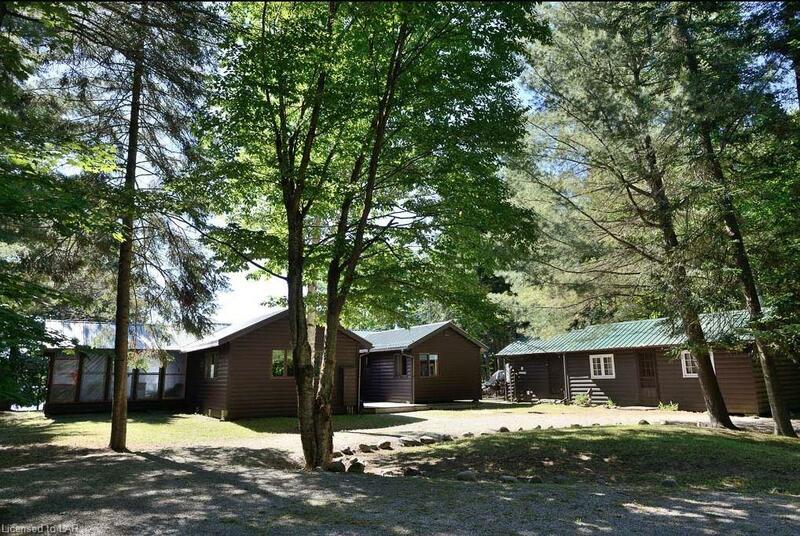 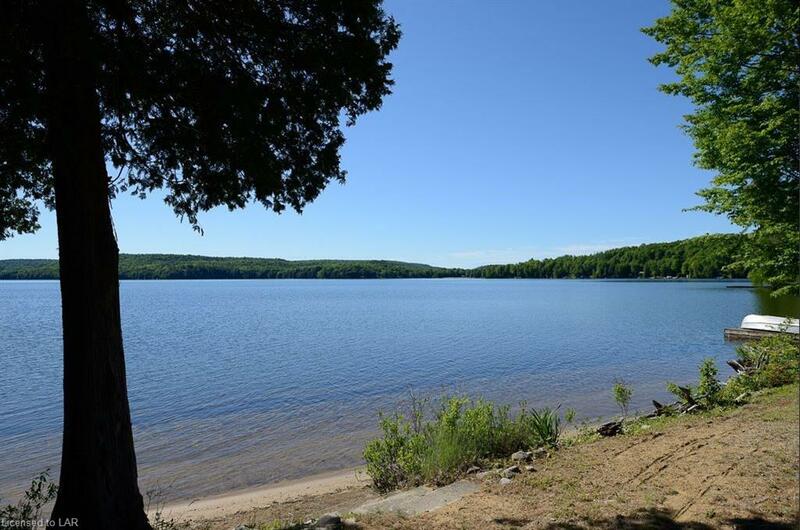 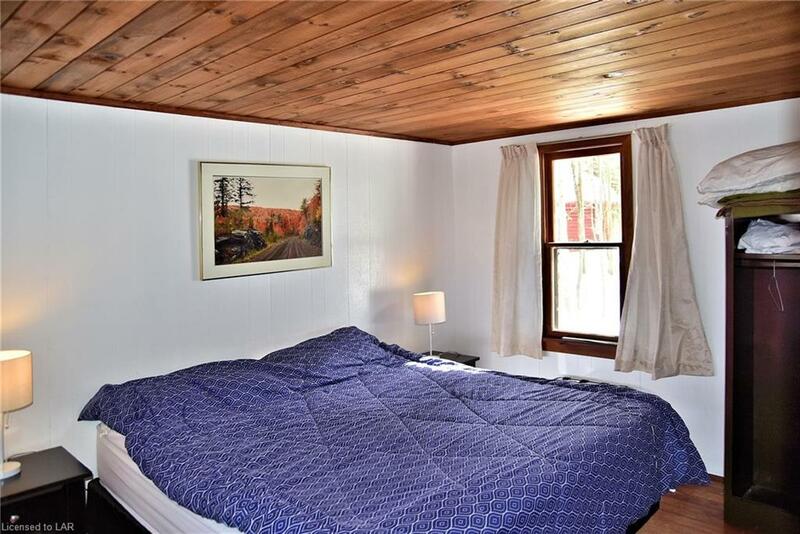 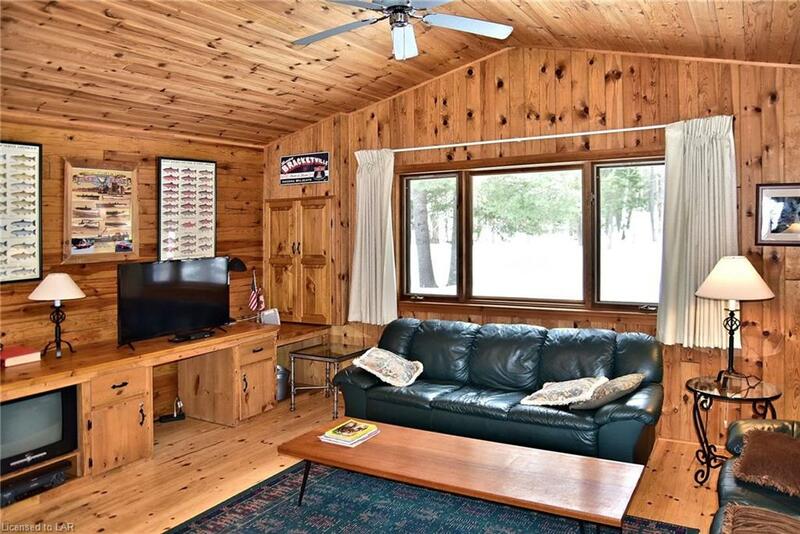 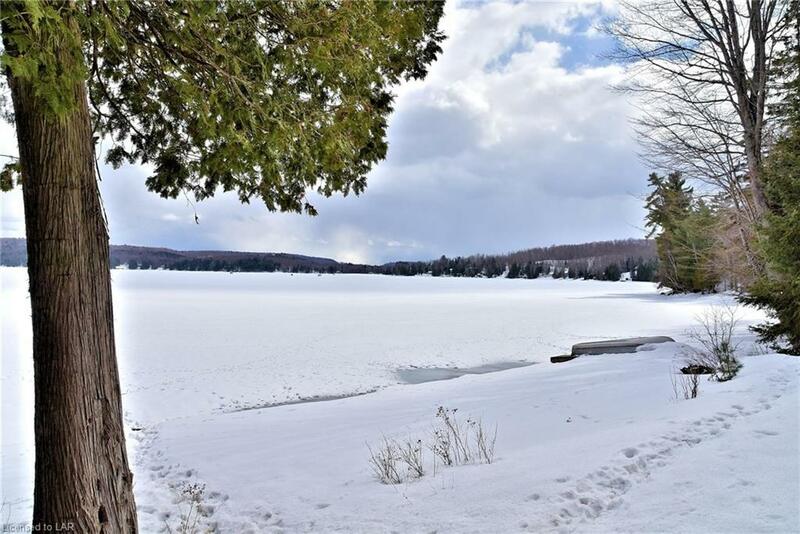 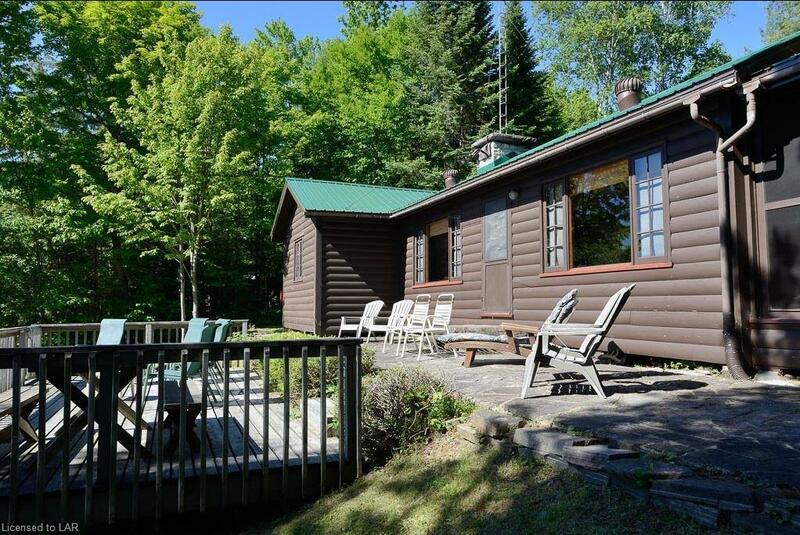 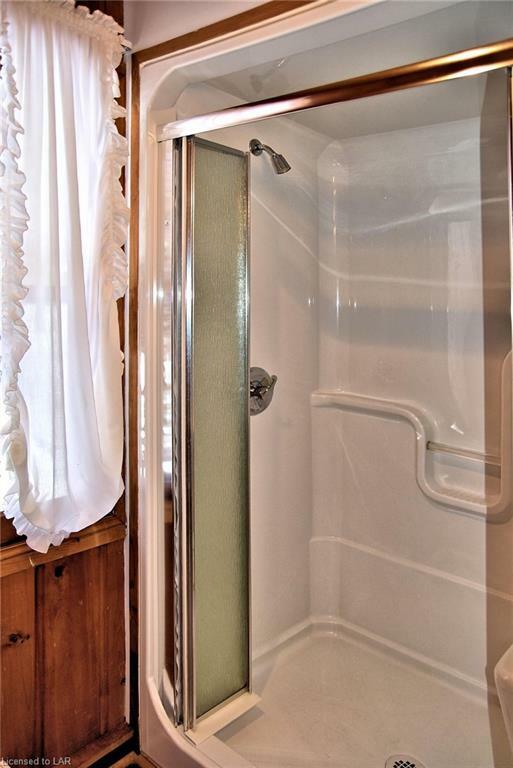 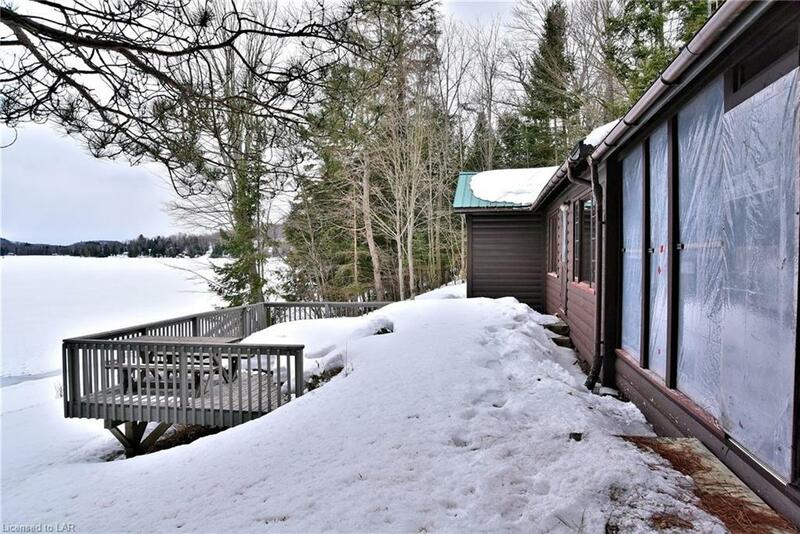 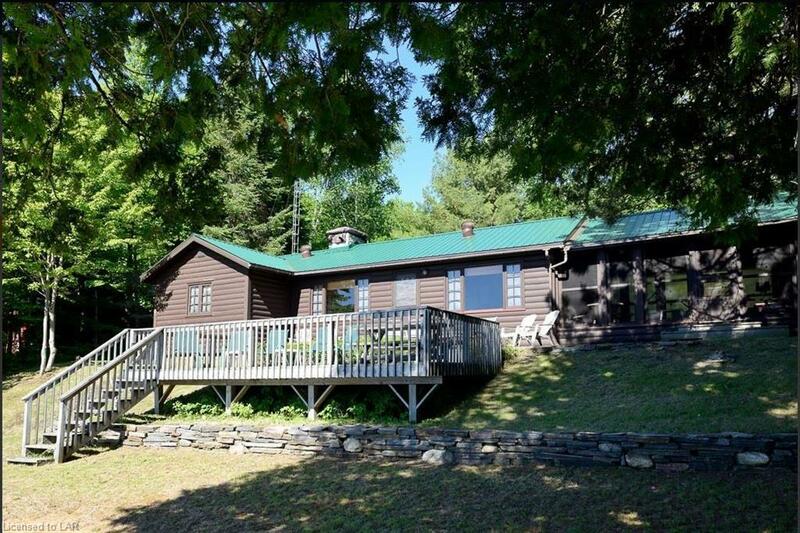 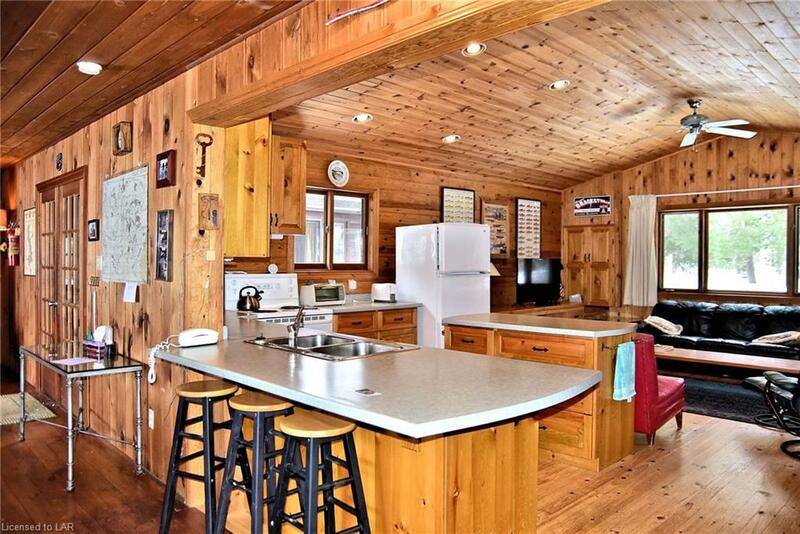 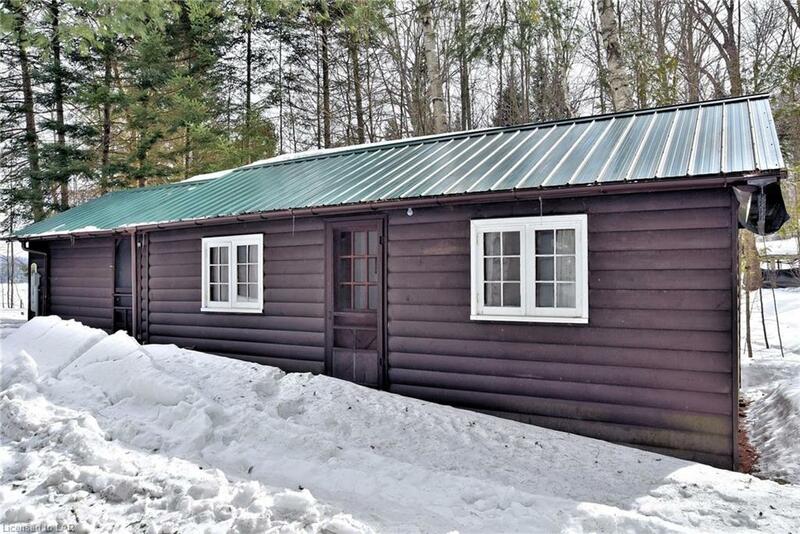 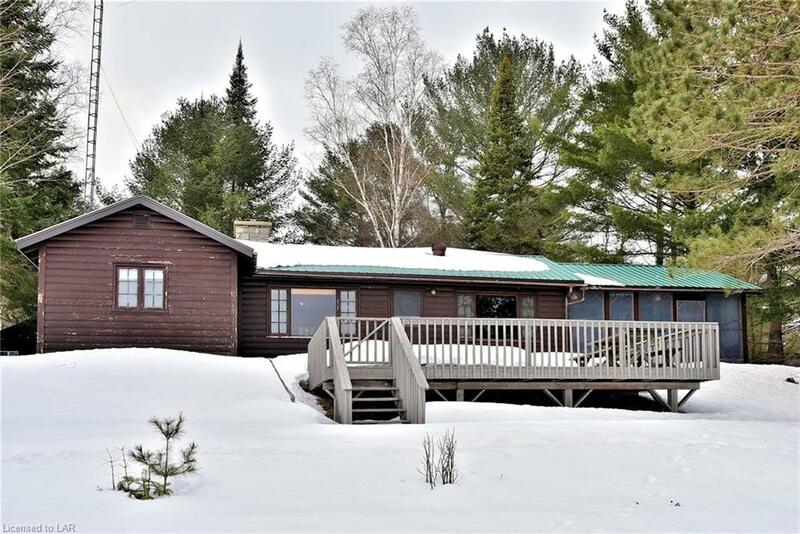 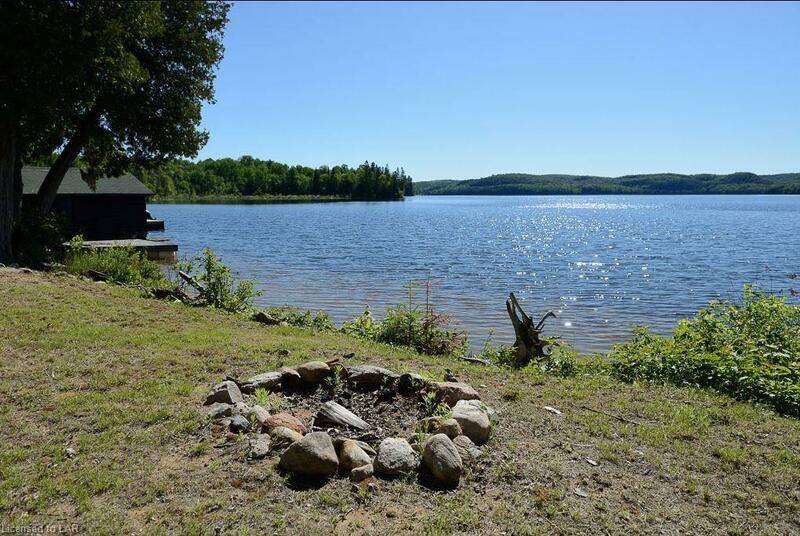 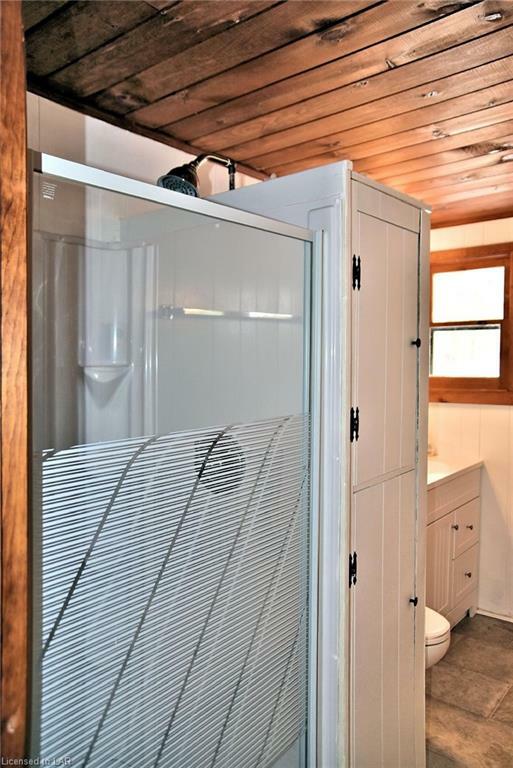 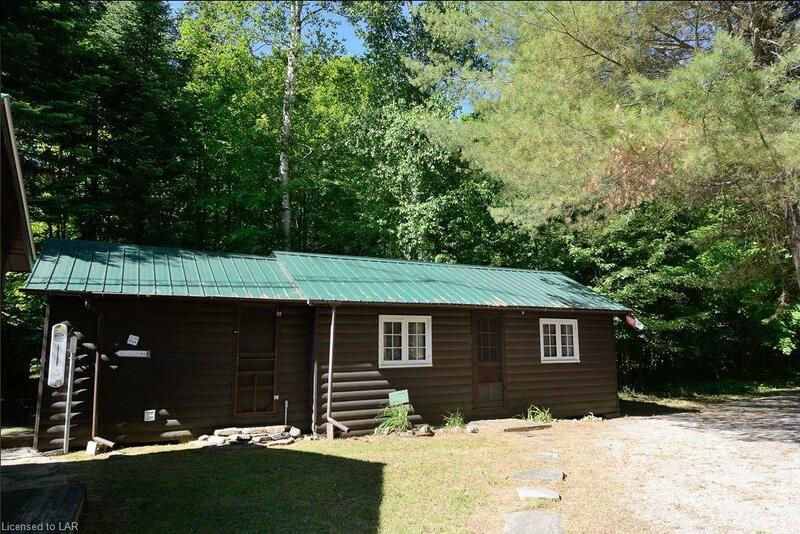 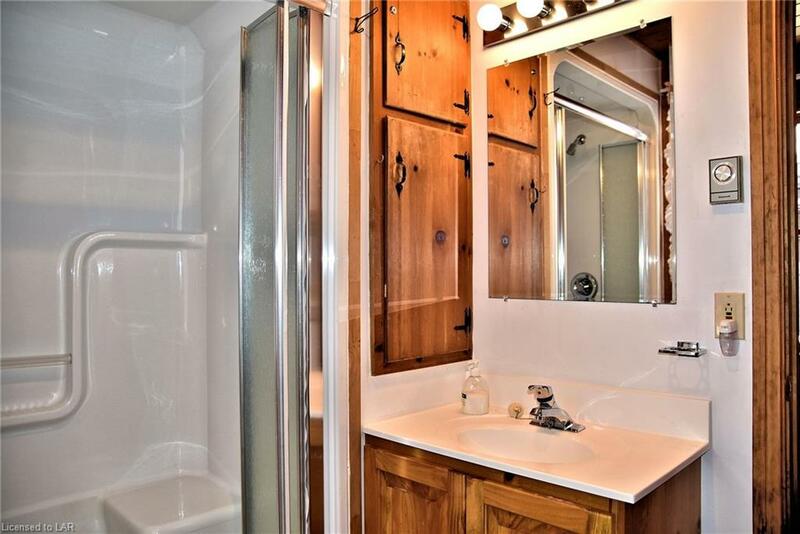 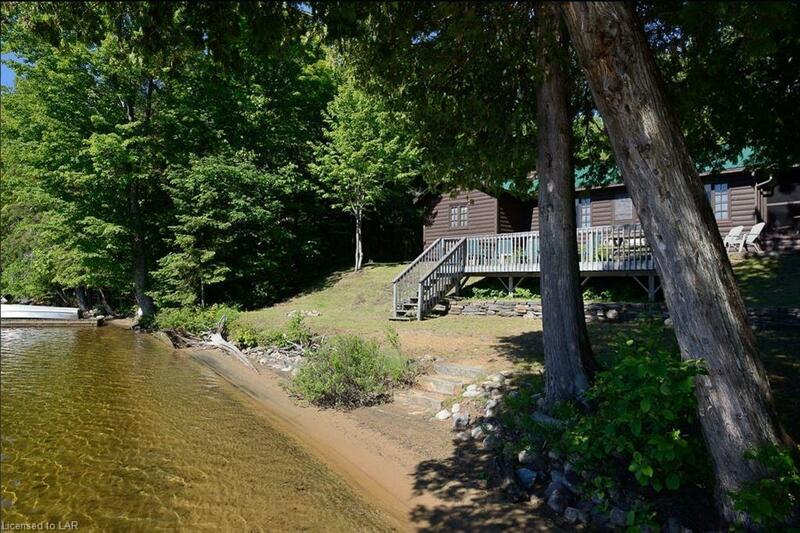 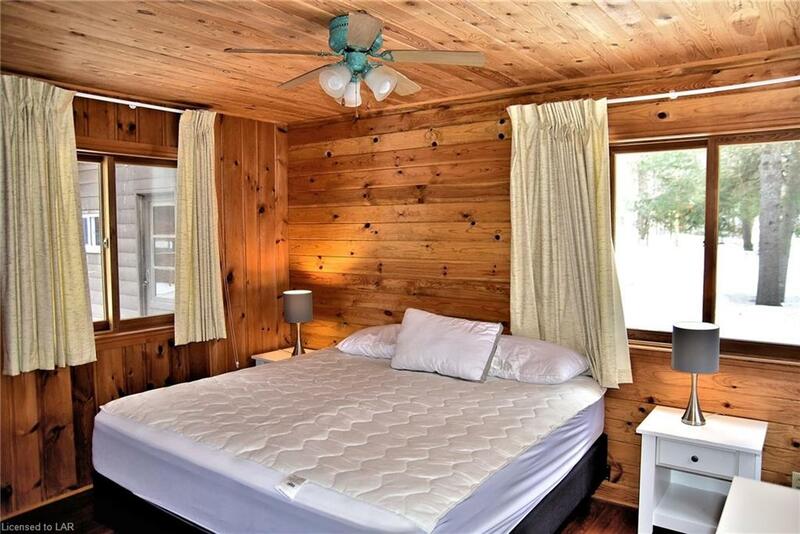 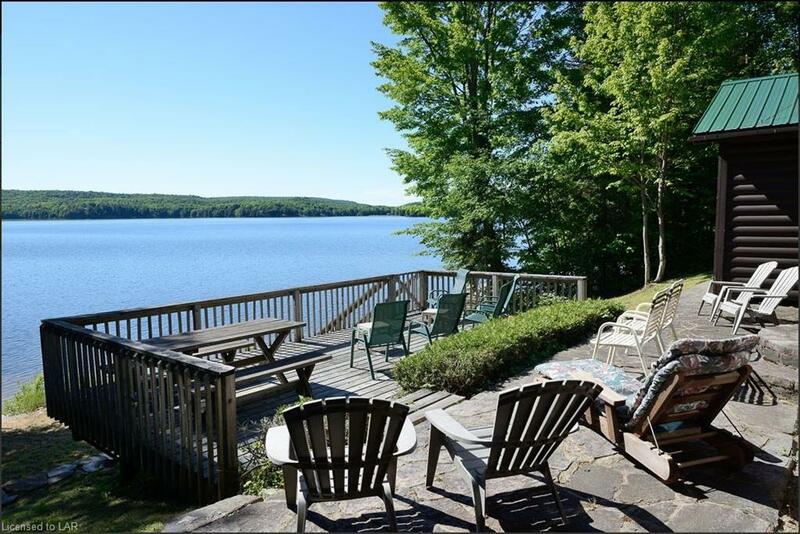 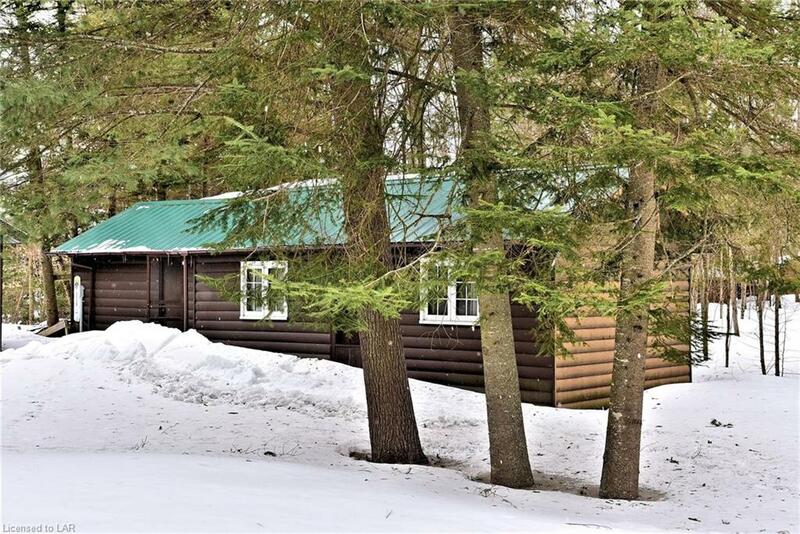 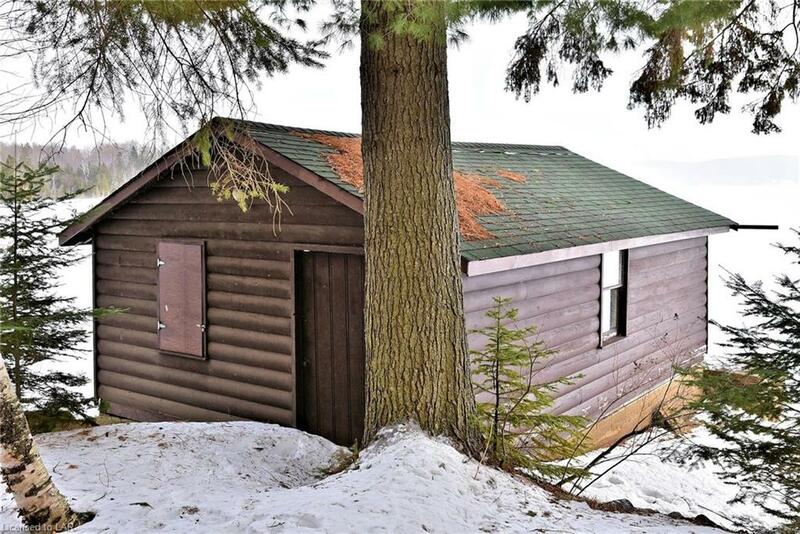 Private 3 season cottage perfectly situated on a level lot over looking Haliburton Lake. 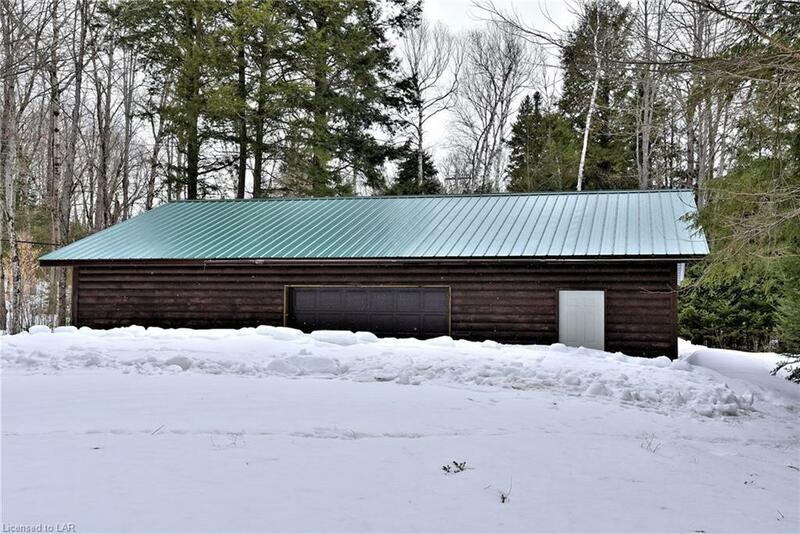 110 ft of frontage. 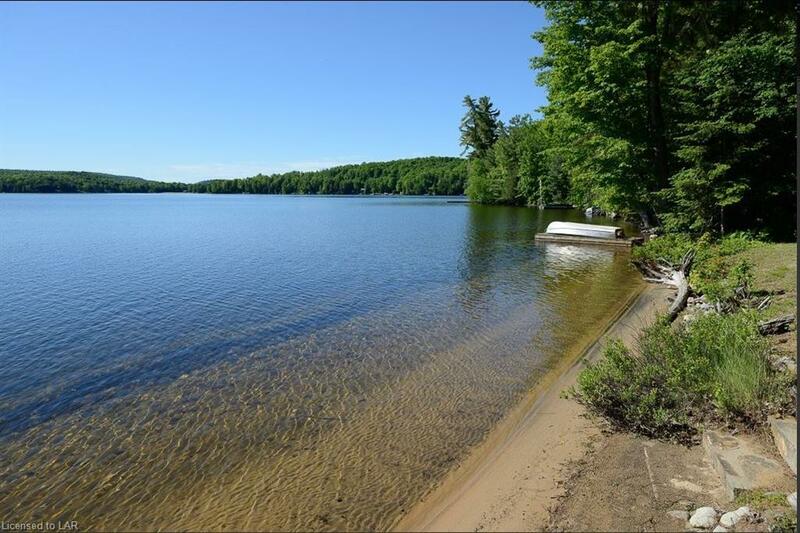 Stunning South Eastern views, excellent swimming and gorgeous sand beach the whole family will enjoy. 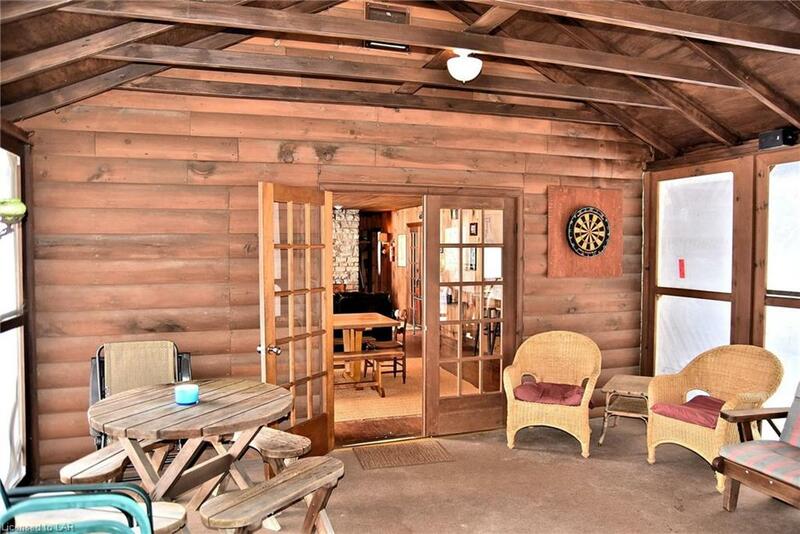 Huge outdoor living space providing ample room for lawn games and kids to play. 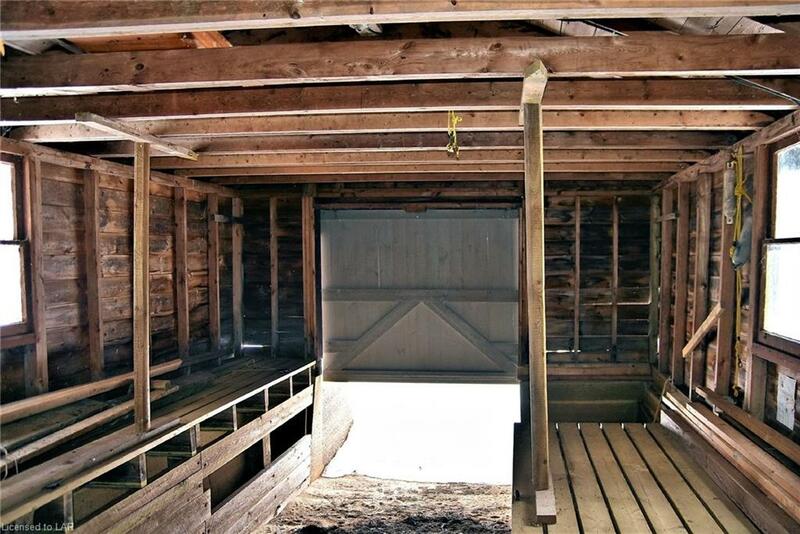 Massive deck and BONUS – boat house! 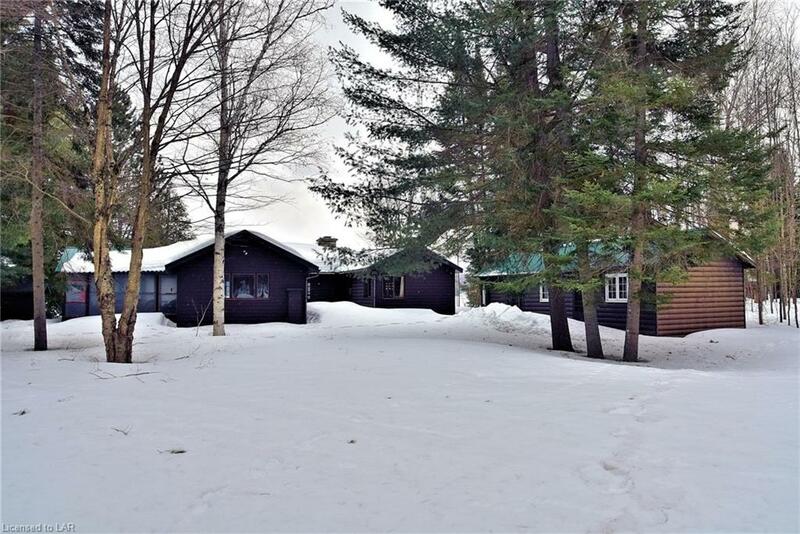 3 bedroom, 2 bath, open concept dining and living room. 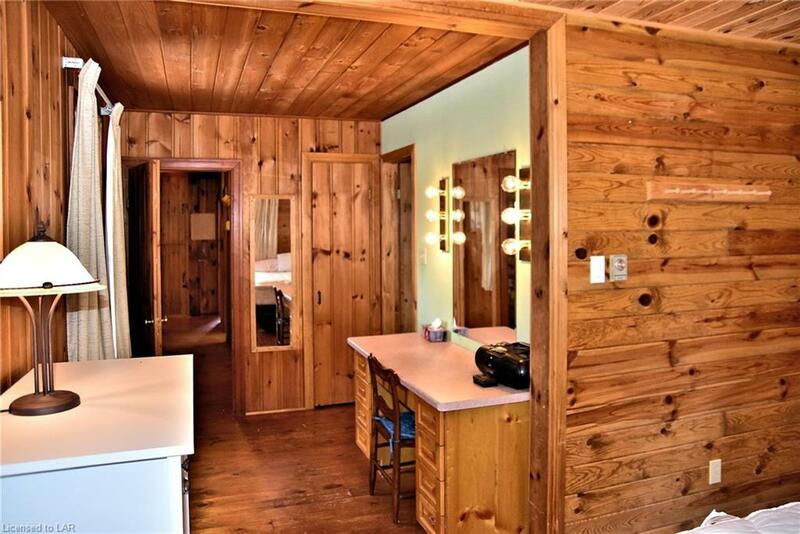 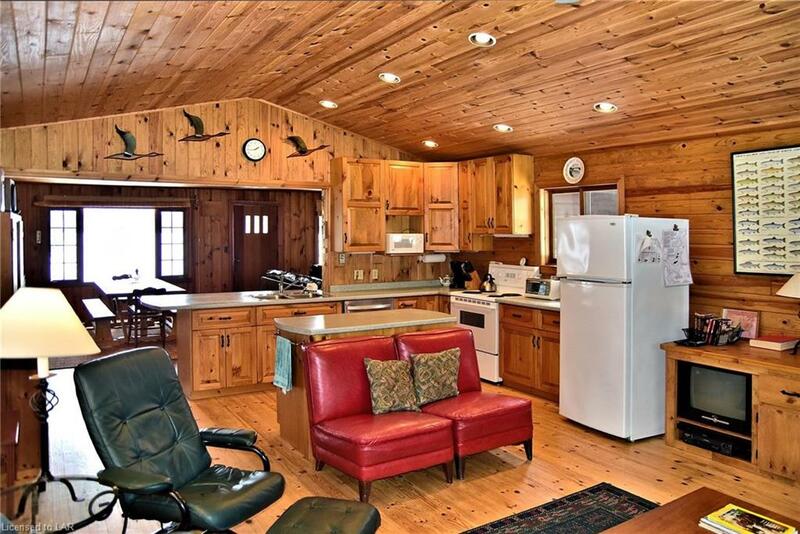 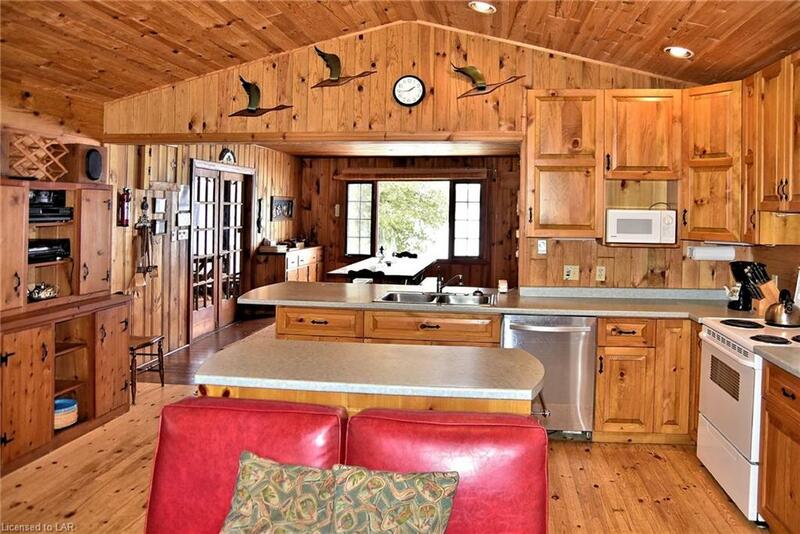 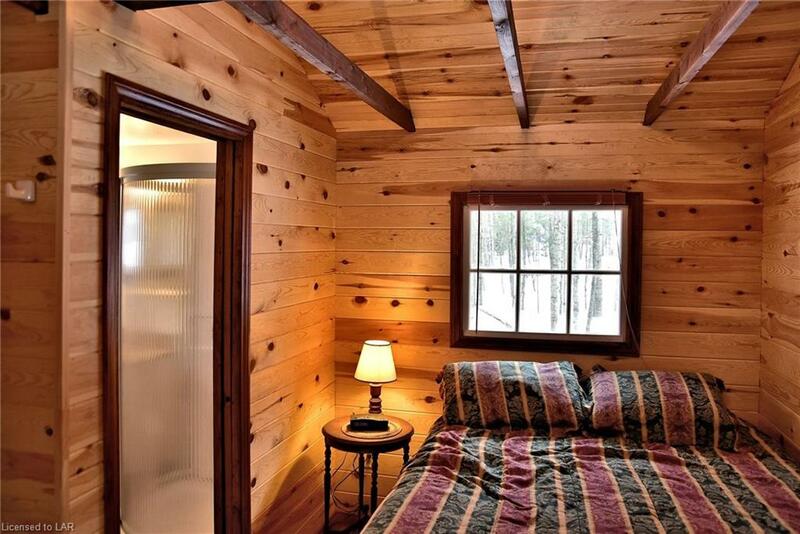 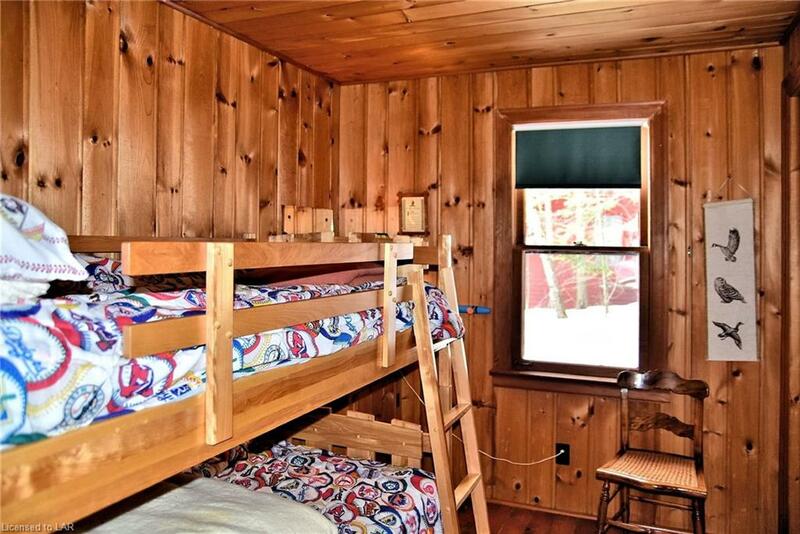 Finished with pine ceiling and walls throughout, a true cottage retreat. 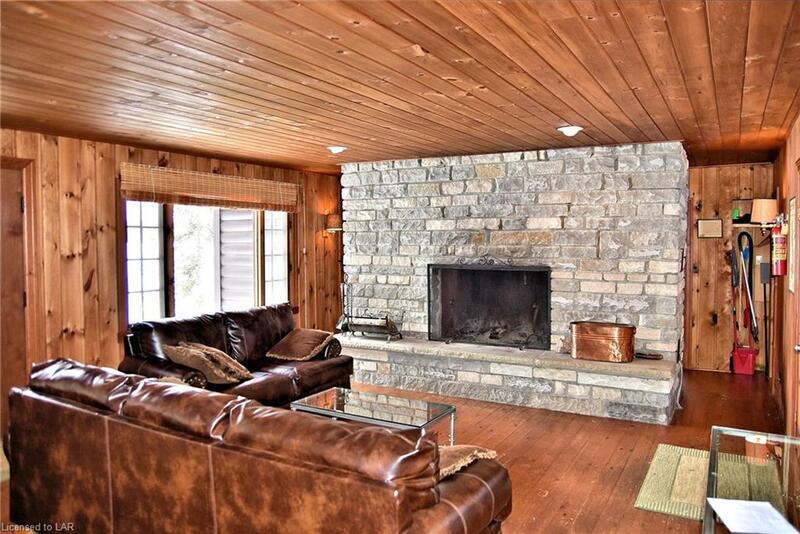 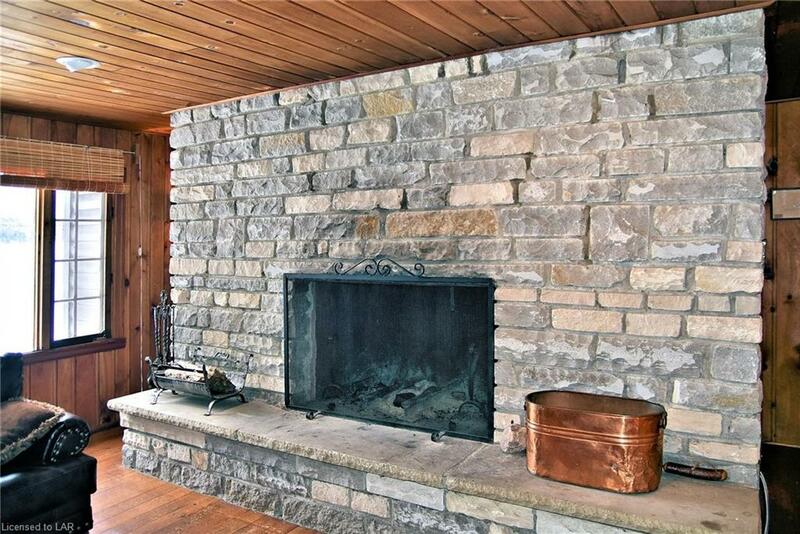 Stay warm and cozy in the late fall by the large brick wood burning fireplace. 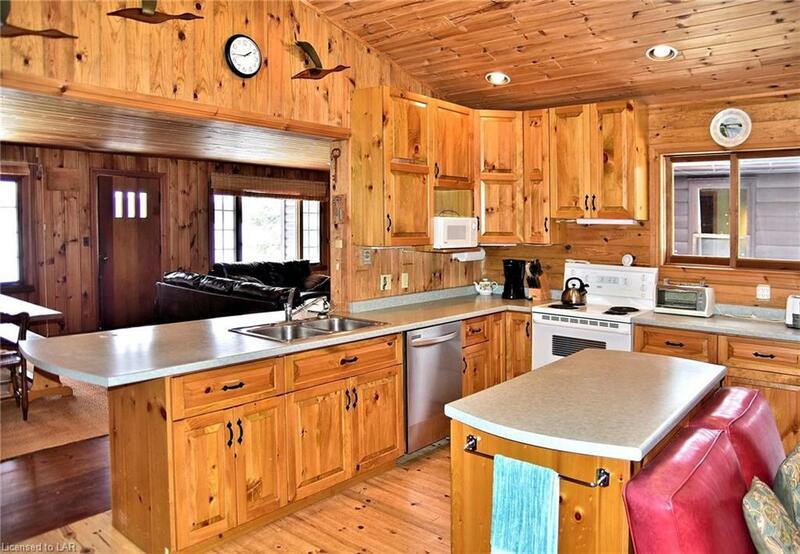 Spacious kitchen, finished with pine cabinetry, cathedral ceilings and sitting area. 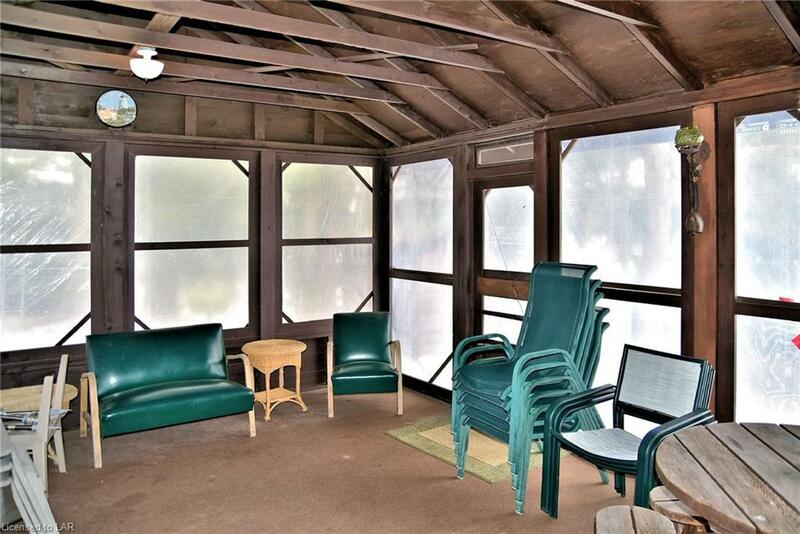 Huge screened porch. 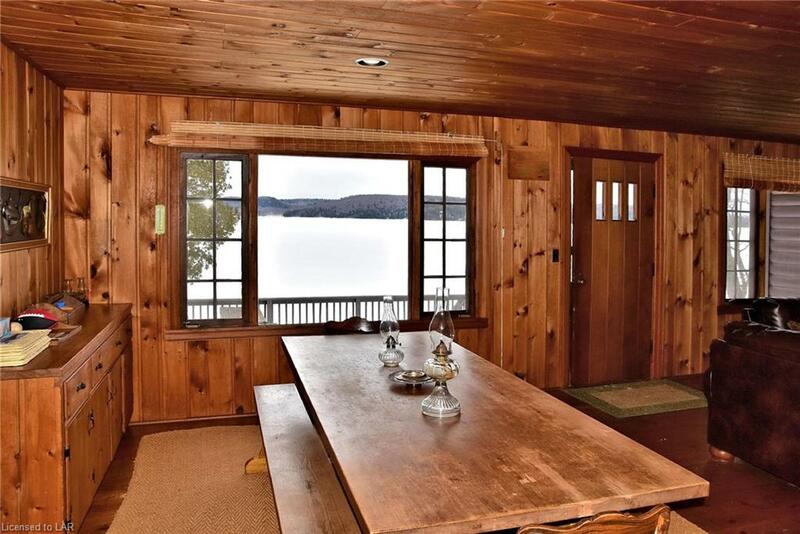 Unobstructed lake views from all lake facing rooms. 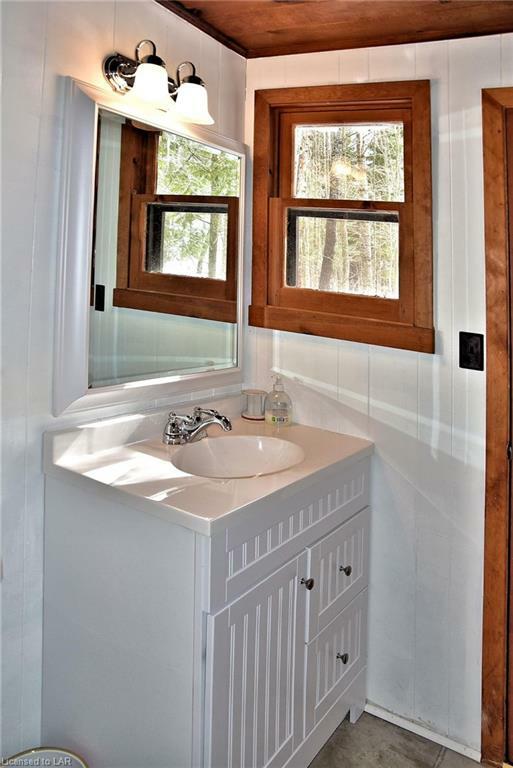 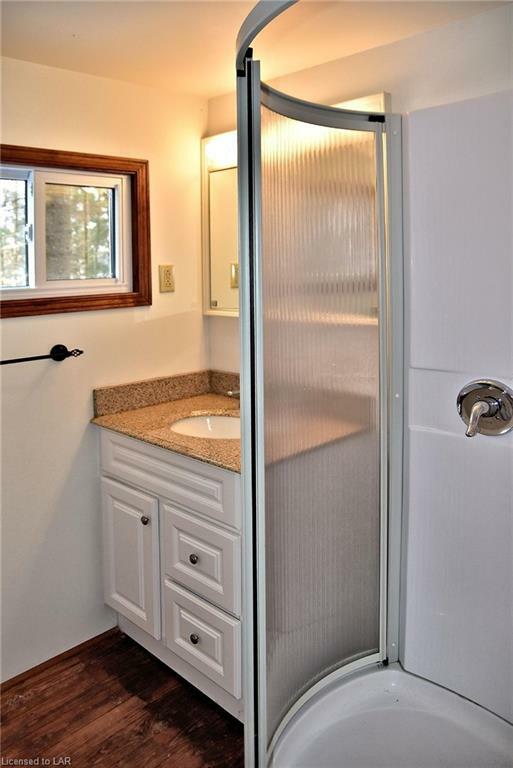 Additional living space in the 400 sq ft Bunkie. 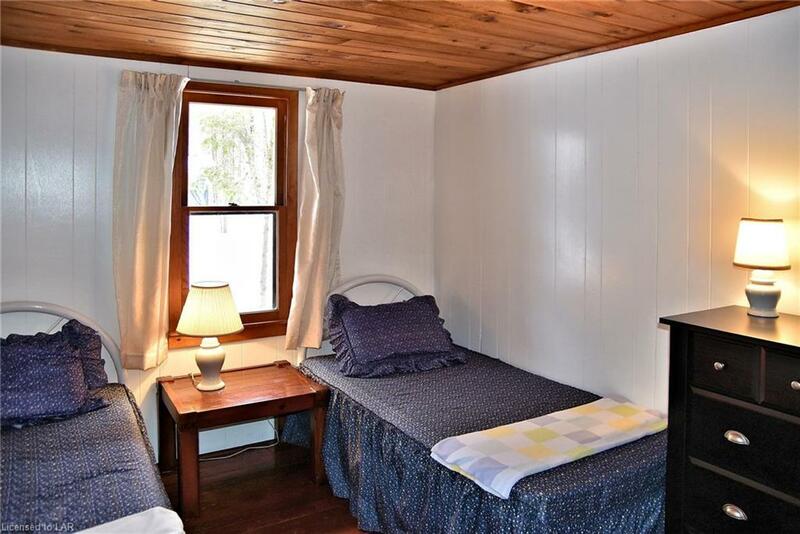 Ideal for large families and lots of guests. 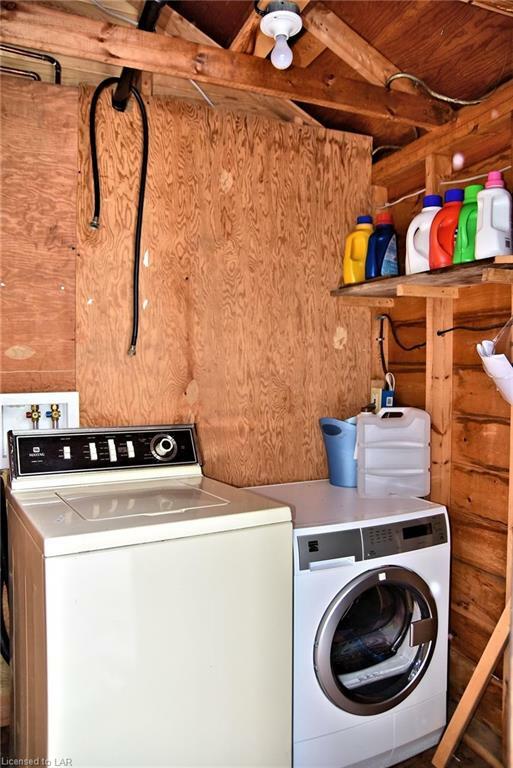 Over sized double garage provides ample storage for all your toys. 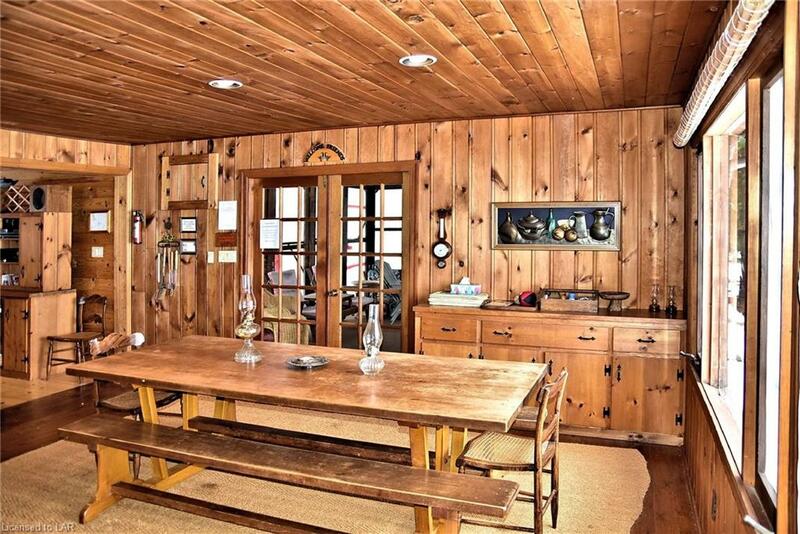 Old charm and a true escape from the city life.